In the Austrian state of Burgenland, the first round of the municipal and mayor elections took place on Sunday, 1st of October 2017. 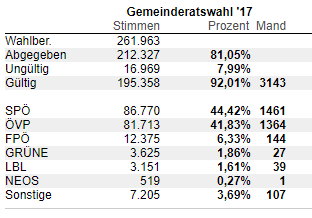 81.05 percent of Burgenlanders from 171 municipalities have voted. Of the 3.143 municipal councils to be awarded, the SPÖ registered 1.461 (previously 1.411), the ÖVP 1.364 (so far 1.363) and the FPÖ 144 (previously 79) seats. The Greens remain the same with 27 seats, the Alliance List reached 45 (so far 39) seats, the NEOS one seat and other lists 101 city council mandates. After the end of the first elections, the Social Democratic Party and the Austrian People’s Party are now equal among the mayors and municipal councilors. In ten municipalities mayors changes took place: the SPÖ represent four and the ÖVP six of the local leaders. Both parties present 74 mayors after the election. Since no absolute majority has been reached in 19 municipalities, run-off elections will be held on the 29th of October 2017. 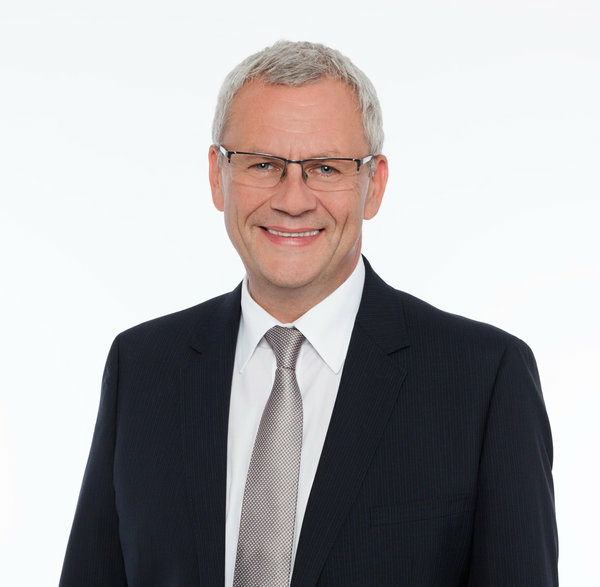 In Jennersdorf, there will be a run-off between two ÖVP-close lists candidates. In Neusiedl am See and Bad Tatzmannsdorf there will be a run-off between the ÖVP candidate and the SPÖ candidate. In Eisenstadt the ÖVP, with 60.3 percent, built its absolute majority with 17 municipal seats, the SPÖ lost two seats and received seven seats. Member of the Landtag Mag. Thomas Steiner (see picture) remains the mayor of the state capital.